When some people imagine their forever home, it’s a spectacular log or timber frame home. Over the past 40 years, Honest Abe Log Homes has met many of those dreamers, which is why thousands across the United States – even in other countries – are living in a home just like they imagined. Kendall said these homeowners often found what they were seeking among Honest Abe’s Legacy plans, or they have worked with the Honest Abe design team to create their own custom plan. The Monticello is a 624 square foot cabin that features a living room with a fireplace, a kitchen/dining room combination and full bath on the first floor and an open loft accessed by an internal staircase on the second floor. At 960 square feet the Creekside is small enough to be cozy but spacious enough to be welcoming. There are two bedrooms, a full bath and an open kitchen, living and dining area in the single floor design. An optional basement-level two-car garage can be accessed from a hidden stairwell. Both the Creekside and the Monticello have full covered porches across the front, with the Creekside having a back deck and the Monticello sporting a full covered back porch. Cumberland Cabin emerged from the imagination of an Honest Abe client, Kendall recalled. Downstairs there’s an open efficiency kitchen and an enclosed full bath. A wall of windows floods the first floor great room and second floor loft with natural light. Outside, the porch wraps the façade, covered on either side of the tall windows and open directly in front of them. 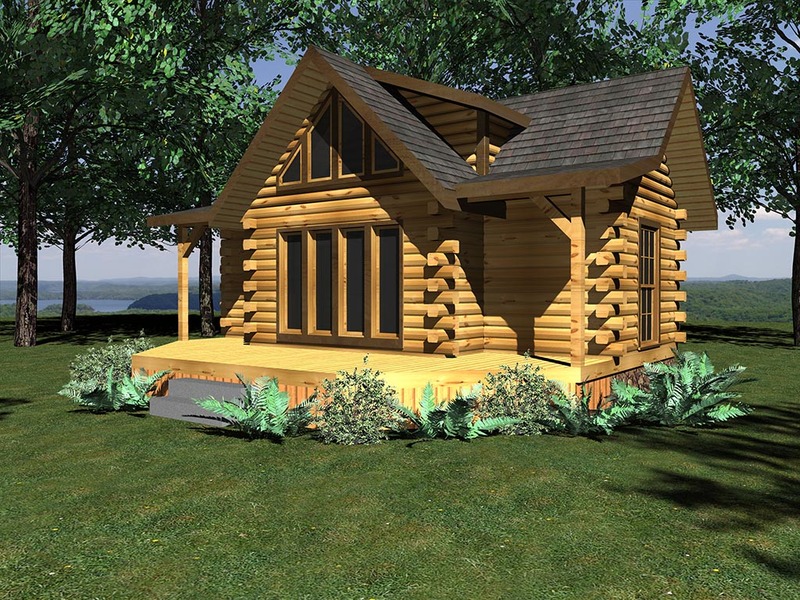 Click HERE for Cumberland Cabin plan. With its popularity increasing every year, especially – and surprisingly – among baby-boomers with advanced degrees and higher than average income and among women homeowners, the tiny house movement appears to be more than merely a fad. For more information and additional photographs, read the full story in the May-June 2016 edition of Honest Abe Living.